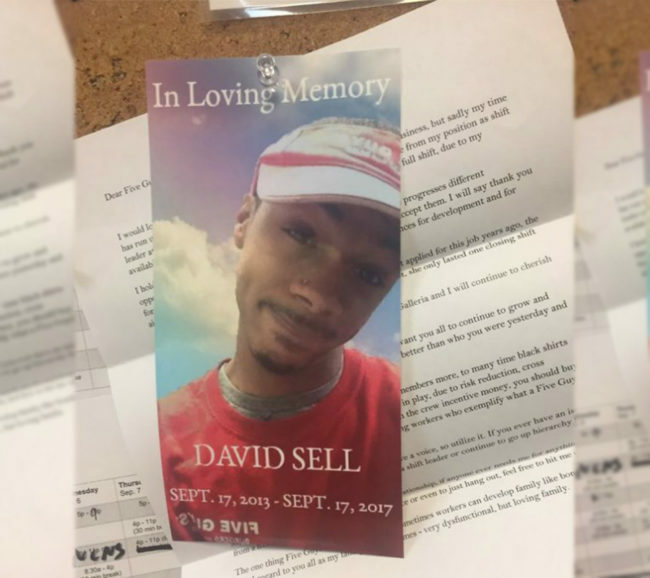 This guy and his boss clearly didn’t get on too well. 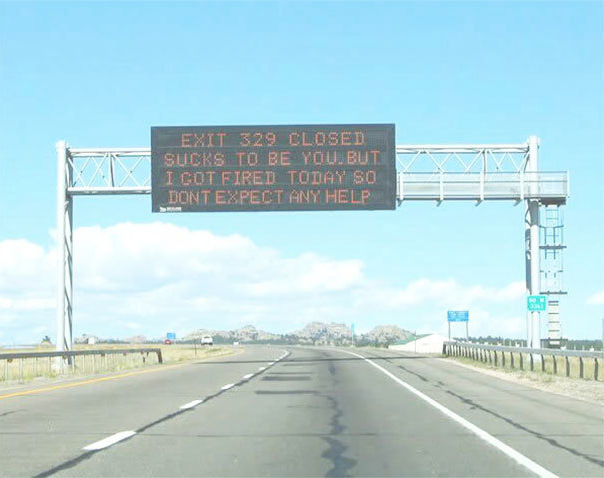 I mean, I know that I could never do a job like this but that’s only because I would want to mess with the sign and write something rude because I’m an adult, apparently…I wonder if seeing this sign was actually how his boss found out, it must have been a shock! 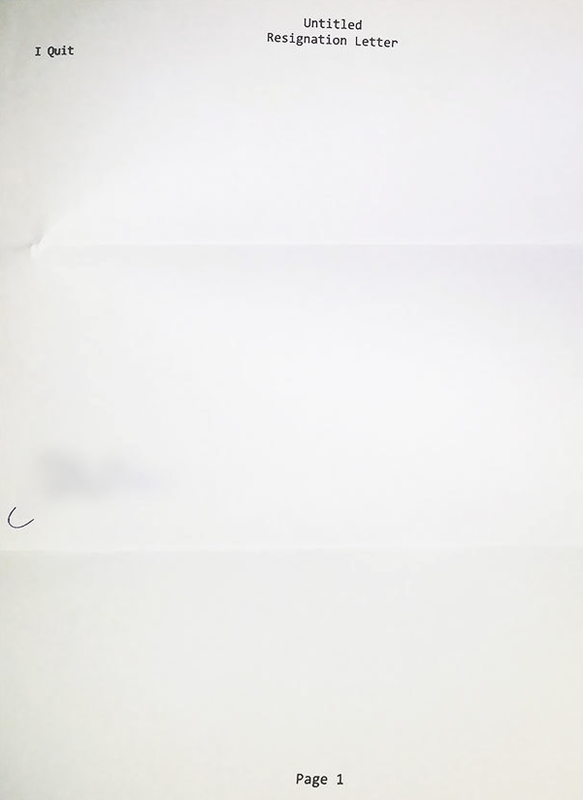 We all hate writing resignation letters, thinking of what to say, talking about how much we love our colleagues and the opportunity, you know, lies, lies and more lies! 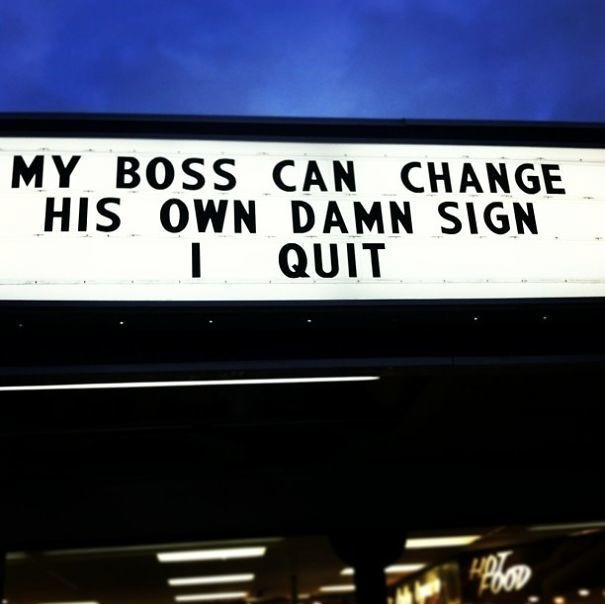 Basically, you are quitting, that’s it. This person definitely has the right idea, straight to the point. 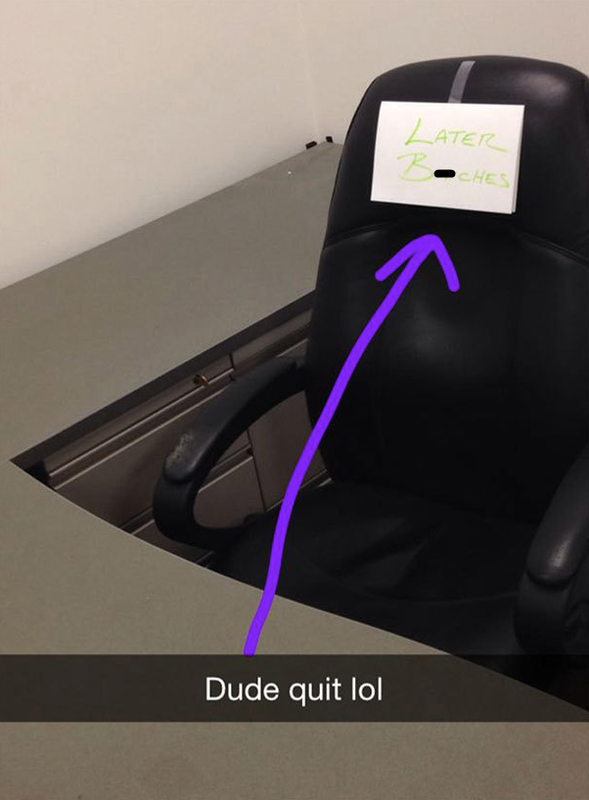 If you are dreading handing your resignation into your boss, why not just stick it to your chair instead? An easy way to slip away quietly without anybody noticing…hopefully you won’t need a glowing reference though because you ain’t getting one! 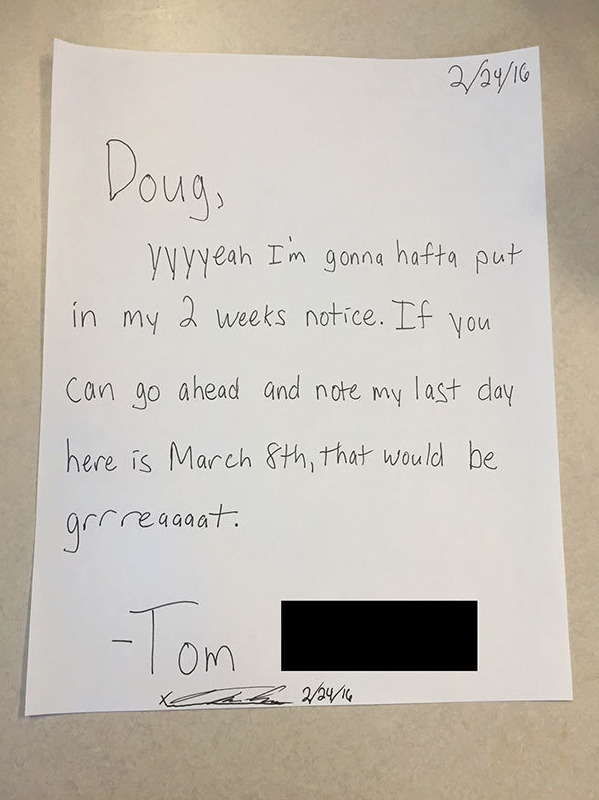 I really hope this guy’s boss has seen Office Space and has a decent sense of humour or he might not take too kindly to this letter of resignation! That would be incredibly awkward otherwise. This is actually quite heart-warming. He is quitting to spend more time with his family AND pursue his cake business dream! 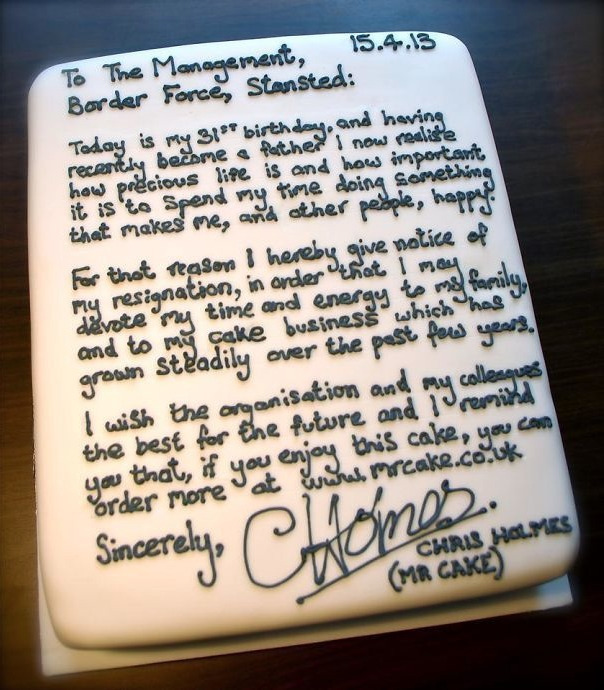 I mean, his piping is incredibly precise, he wrote an entire essay on a cake. There’s no harm in slipping a cheeky bit of self-promotion when you resign, connections and all that. 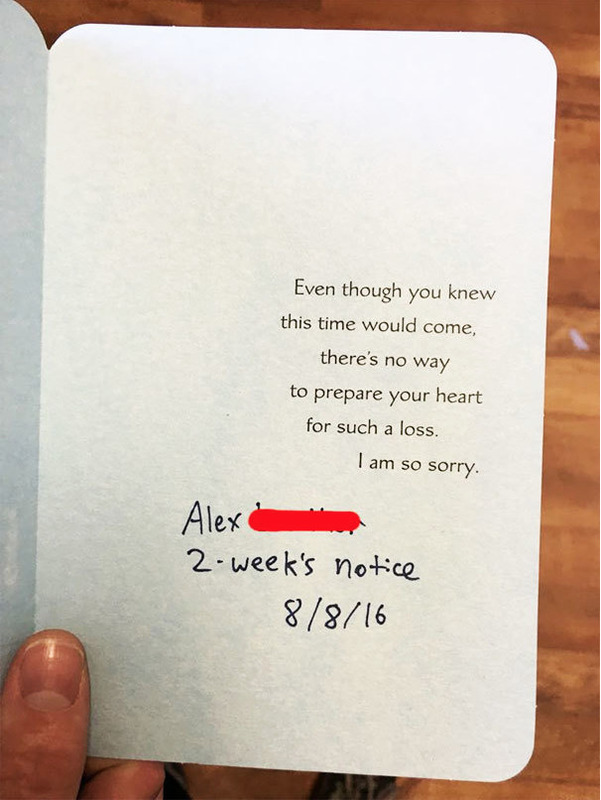 What better way to hand in your resignation than with a condolences card? Yes, it’s pretty dark but it gets the job done! This is how people should quit moving forward. I’m very impressed that whoever wrote this managed to do it without ripping the toilet paper. I really admire the confidence of this one too, I hope they get the job of their dreams soon after this! This is a bit harsh, their manager will enjoy a nice picture of a dinosaur before reading on and seeing that they are losing a member of staff. 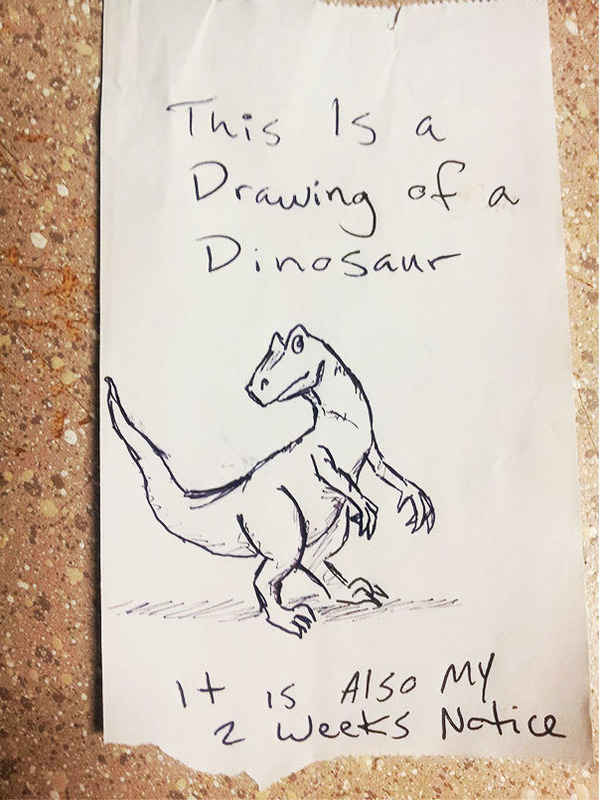 It’s a pretty impressive dinosaur drawing though, hopefully that will serve as a distraction. 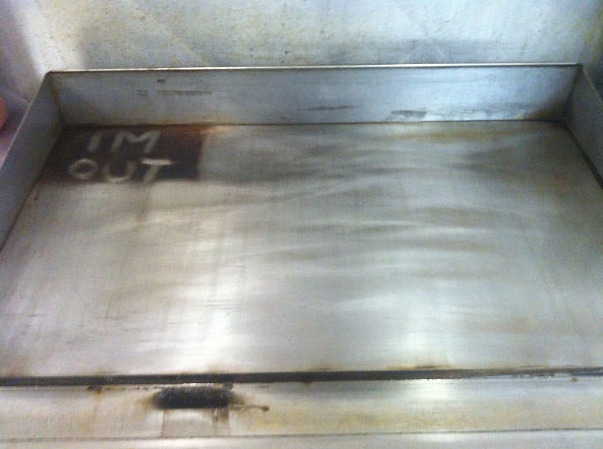 Wow, this person really must hate their job. 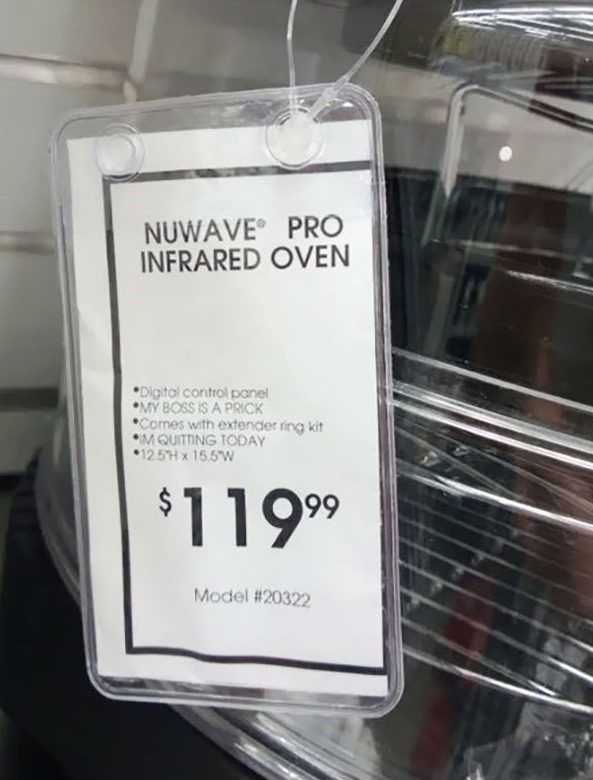 I mean, when I quit, the first thing I want to do it print it out and stick it on products too…not really. Oh dear, this manager sounds like a great guy…not. If he actually said “cancer is not an excuse” that is awful and he needs to rethink his life. 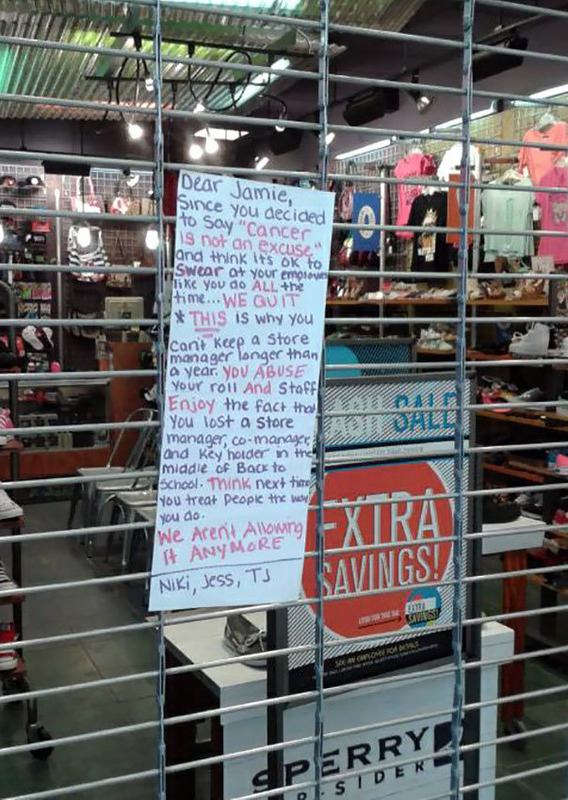 I’m glad the staff quit to teach him a lesson! 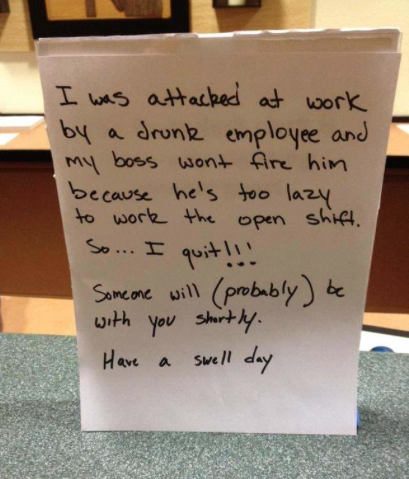 I think this boss needs to understand that people don’t tend to enjoy working alongside drunks who physically attack them. 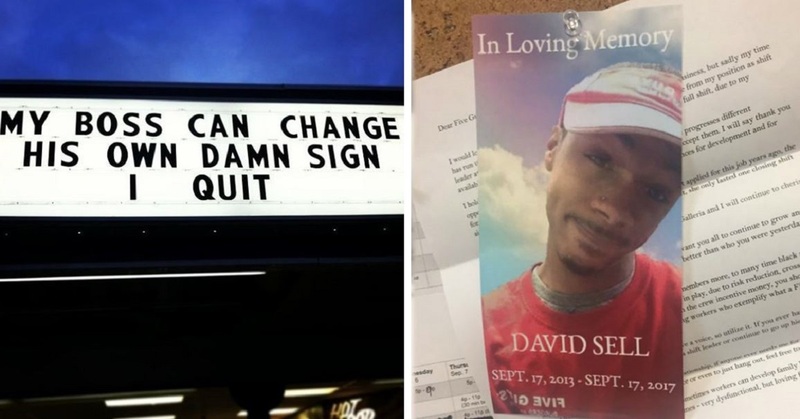 I’m glad he took matters into his own hands and quit! 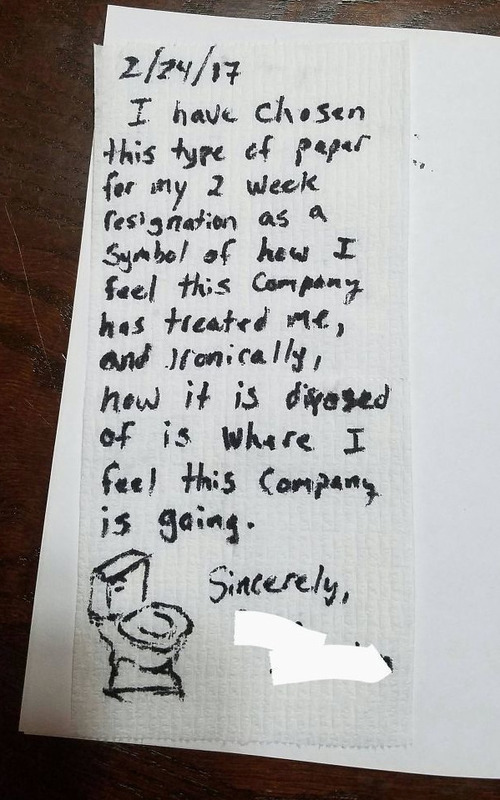 Quitting a job you hate? Make sure you do something incredibly evil right before you leave! 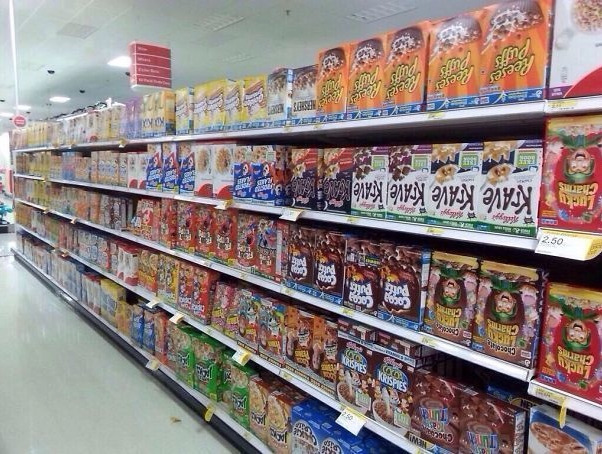 Like this person turning every cereal box upside down so his boss will have to painfully fix them all, one by one. Evil genius! 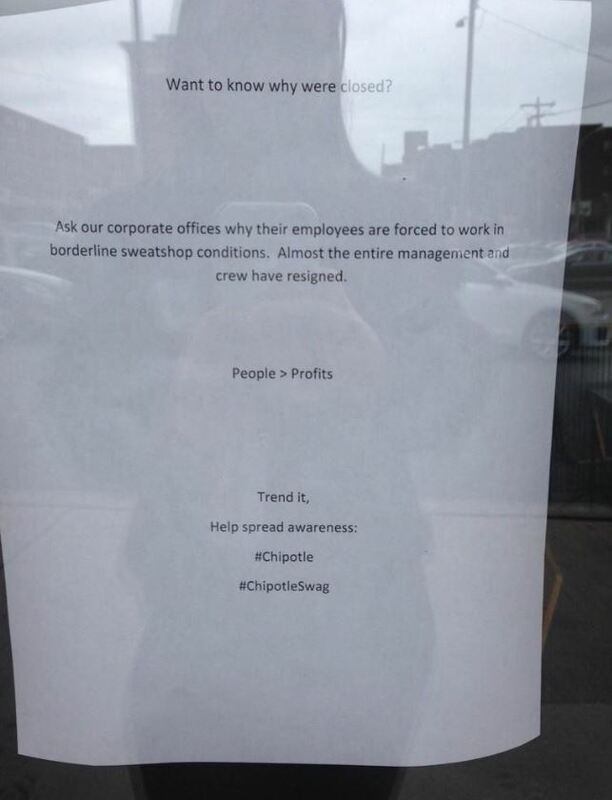 Now, for the most dramatic of them all, the entire management and crew left this Chipotle store due to the terrible working conditions, good on them! No one deserves to be treated that way. 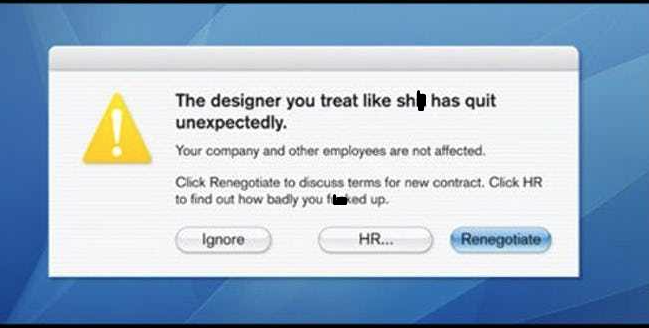 There you have it, do you feel inspired to dramatically quit your job now? You probably shouldn’t, references from past employers are important folks! Which one was your favourite? Let us know in the comments!